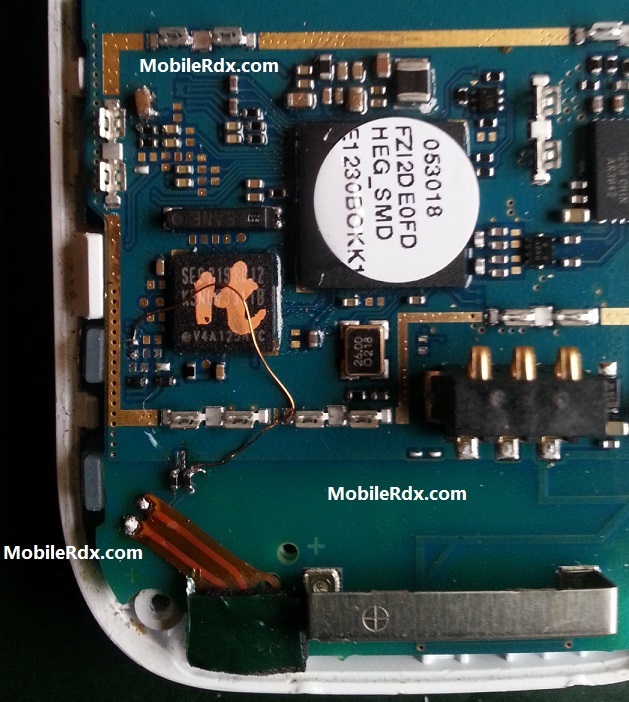 If you are looking for solutions how to fix Samsung E1230 Mic problem wherein the person on the other line is having trouble hearing you, or can’t hear you at all, this post might help. Problems on Samsung GT-E1230 Mic Not Working, usually occurs due to mechanical shock and water damage, the damage is very rare if the mic is not caused by two things, water damage or due the o collision, To repair Samsung Galaxy Y Pro B5510 Mic Not Working Try The following tips. To do repair Samsung E1230 Mic Not Working, try your first check before hand mic in good condition or not, if the mic is damaged, you must replace the mic with a good mic, if after replacing the mic does not work, check the mic lines as shown below, if there is a path-breaking, try to make jumpers. Changing Samsung E1230 mic can be a little tricky. It is soldered on the motherboard so if you remove it remember it’s placing position and put the new microphone the same way the old one was. If you have broken prints of the microphone connection points I have marked all of them in the diagram below.